Local community group Axedale Our Town – Our Future was formed in 2007 with the purpose of putting together a local community plan. Since this group formed there has been much work done by the committee and members to make improvements to Axedale and also to the lives of the people of Axedale and surrounds. In December 2012 a survey was sent to all householders in Axedale and surrounding districts to ascertain what was required to make Axedale more liveable. Surprisingly 370 responses were received and the Axedale Community Plan was revised. Since then the members of Axedale Our Town Our Future, led by their President, Yvonne Wrigglesworth, has been busy implementing the plan that was put in place all those years ago and continued on by subsequent Presidents. There has been much improvement made to the area and many items on the plan have now been completed. The Axedale Community Plan progress is shown below. 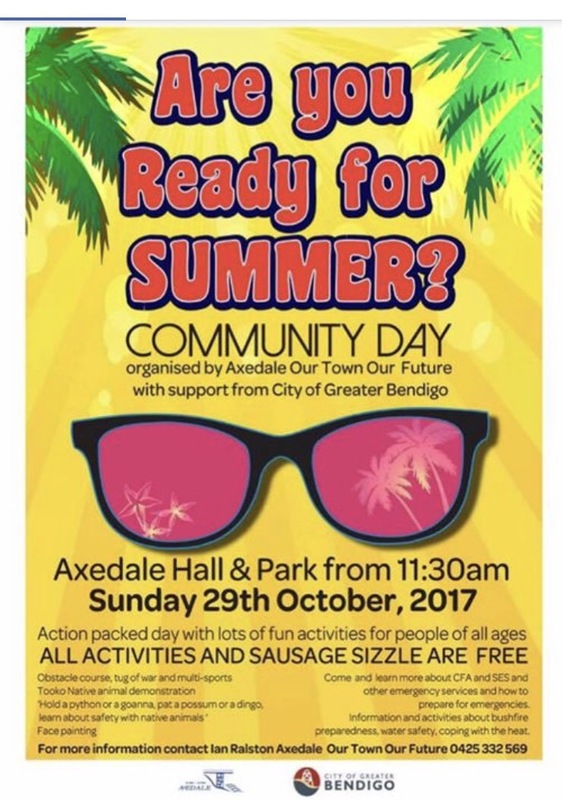 As a result of the Axedale Community Plan many events, both informative and fun, now appear regularly on the local calendar. 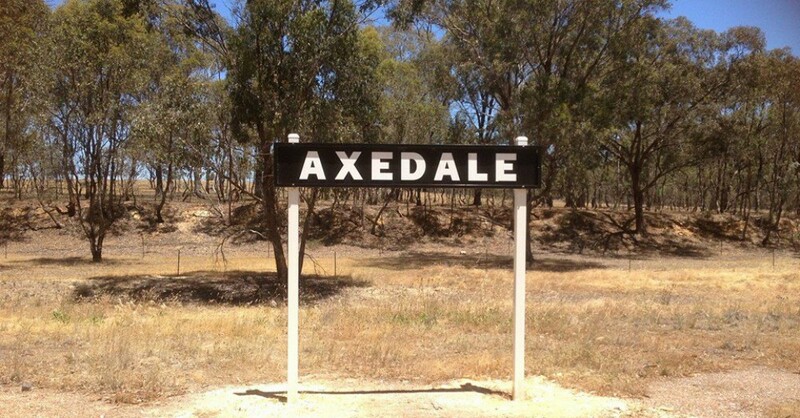 Axedale is now a vibrant community to belong to due to this Committee of committed locals.